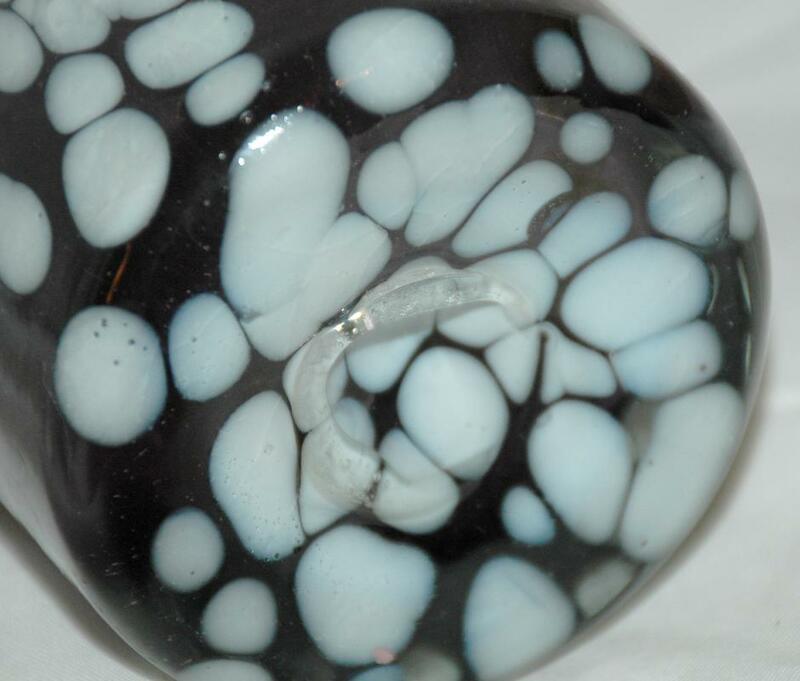 Hand blown glass vase iridescent with white spots. It measures 9.5" tall. It is kind of a silverish purple and reflects a rainbow of color depending on the light. There is no signature and there is a pontil on the bottom. The condition is excellent. The glass is thick walled. 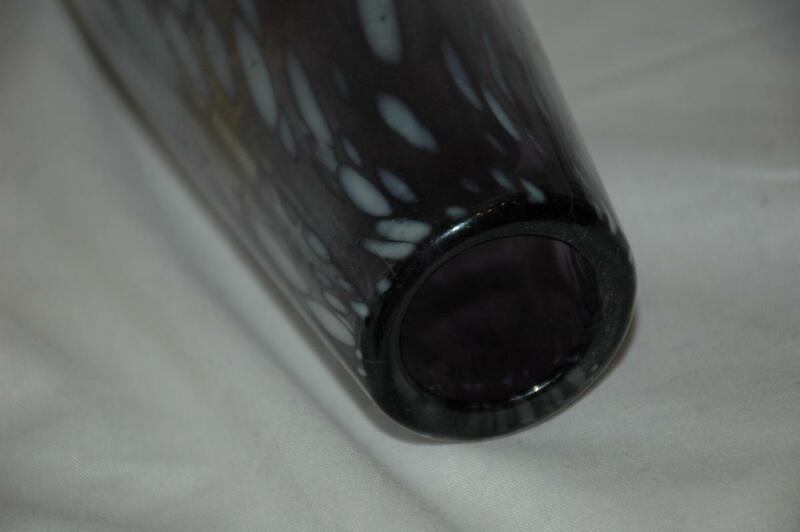 Items Similar To "Hand blown glass vase , purple with iridescent white spots"